Relationships. Stories. Life. It seems to me that all are collisions of perfectly timed little incidents. And so it goes with this recipe. 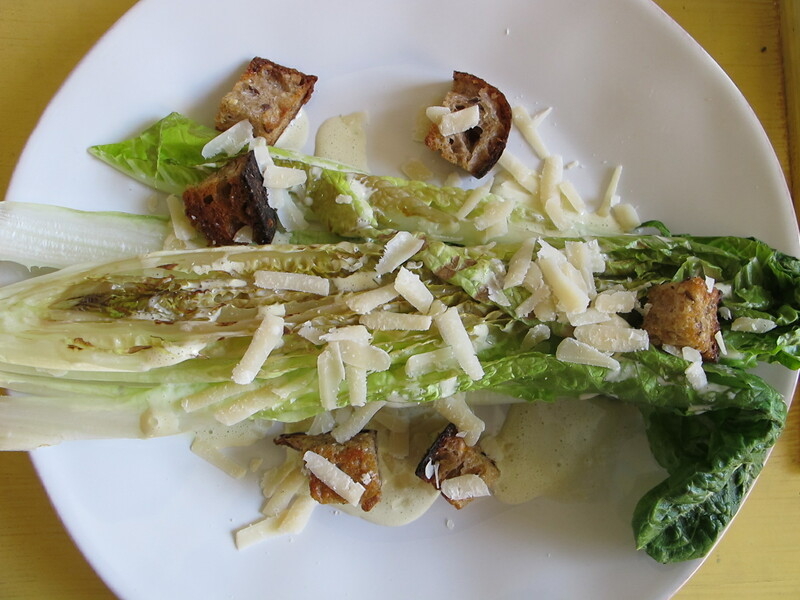 A few ingredients and ideas collided at the same time to create this particular Grilled Caesar. It makes perfect sense. First, Nattie told me about her crunchetos. What are crunchetos, you ask? 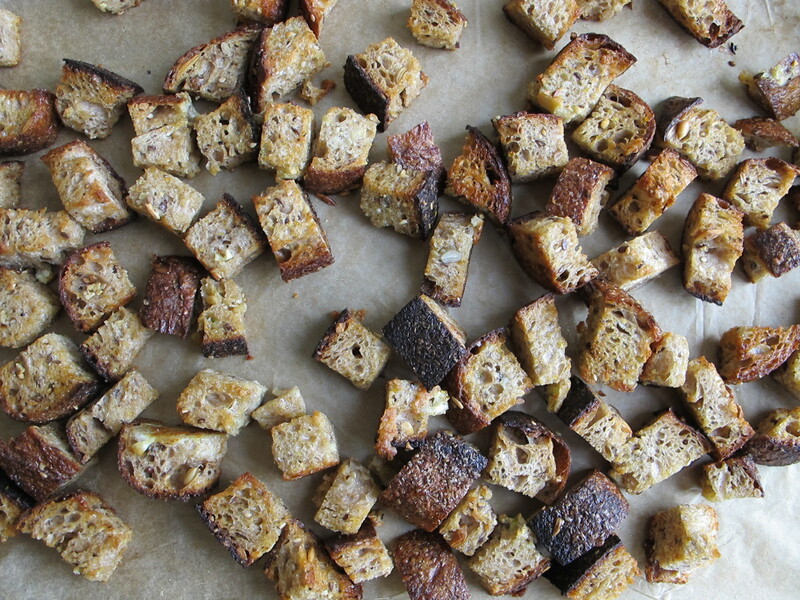 They are homemade croutons, of course. Nattie coined the term and I think it has a delectable ring to it. Trademark-able, really. I am smitten for almost anything crunchy. Stick an eto on the end and you’ve got some seriously classy croutons. each week when our csa box arrives, the item that garners the least amount of excitement is the lettuce. i think this is in part because it’s winter here and the idea of a dinner salad is easily trumped by another warmer, roasted vegetable option. but in any case, the head of romaine is usually the first thing to wilt and the last thing to inspire. help please! any suggestions on how we can turn a new leaf would be much appreciated. So, you see! I had a craving for crunchetos and a romaine request. I recalled seeing a grilled romaine salad in Saveur a few months ago – I remembered the California ranch photos complete with cowboys hats and stewed beans. 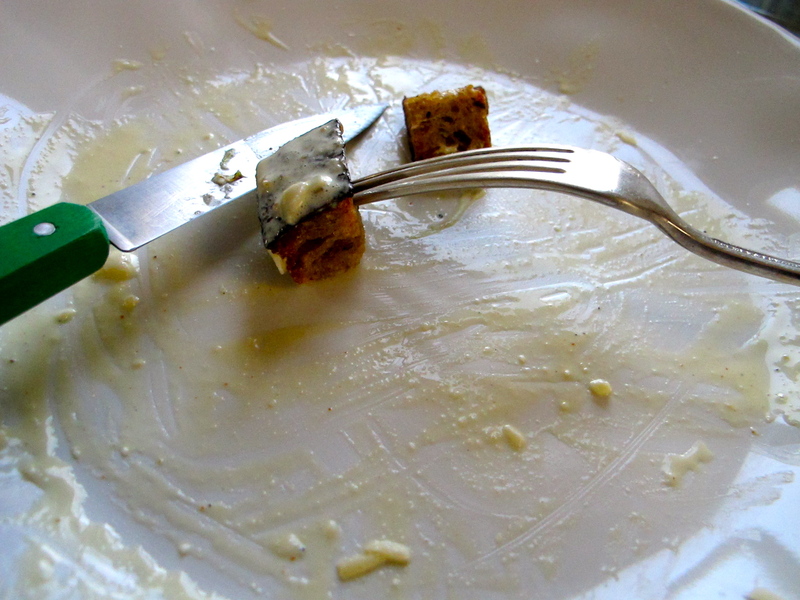 I happened to have anchovies, lemon and an egg for Caesar dressing. Dots connected. I love the grilled lettuce concept. There’s something elegant about the wilted leaves. (And you know what? If you use kale instead, or maybe a kale and romaine combo, I think it would be just as good and a bit heartier.) Anyway, I don’t have a grill, so I used a cast-iron grill pan instead. It worked! I imagine that the smokiness from the charcoal grill would enhance this salad, but it’s not a requirement. Add roasted chicken or crisp bacon to make it a bit more substantial. So, my sweet Salad-Less in Seattle friend, I hope this recipe inspires you. Give it a shot! I think you’ll like it. You may even wonder, does CSA stand for Community Supported Agriculture or Caesar Salad Amazingness? Purée anchovies, garlic, oil, salt, and pepper, egg and lemon juice in a blender until emulsified, 1 to 2 minutes. 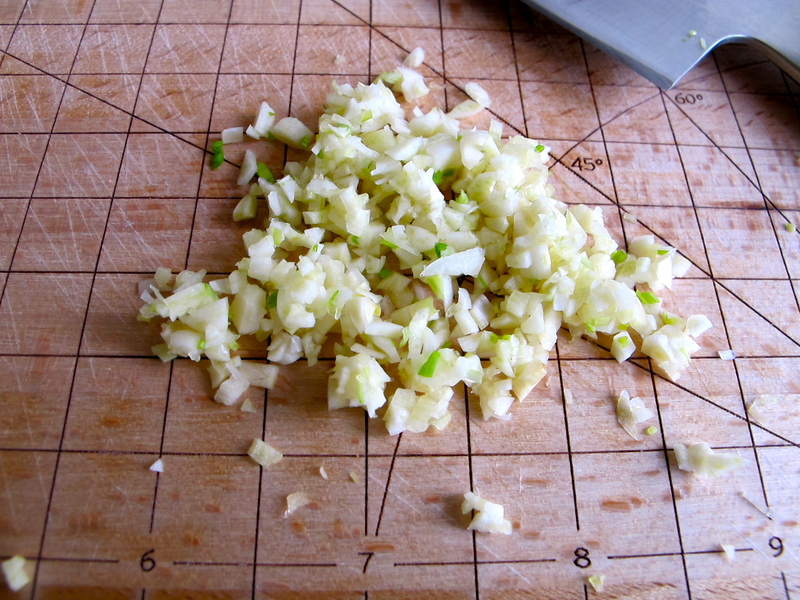 Taste and add more salt, pepper or lemon juice if you’d like. Prepare grill over medium-hot charcoal (medium heat for grill pan). 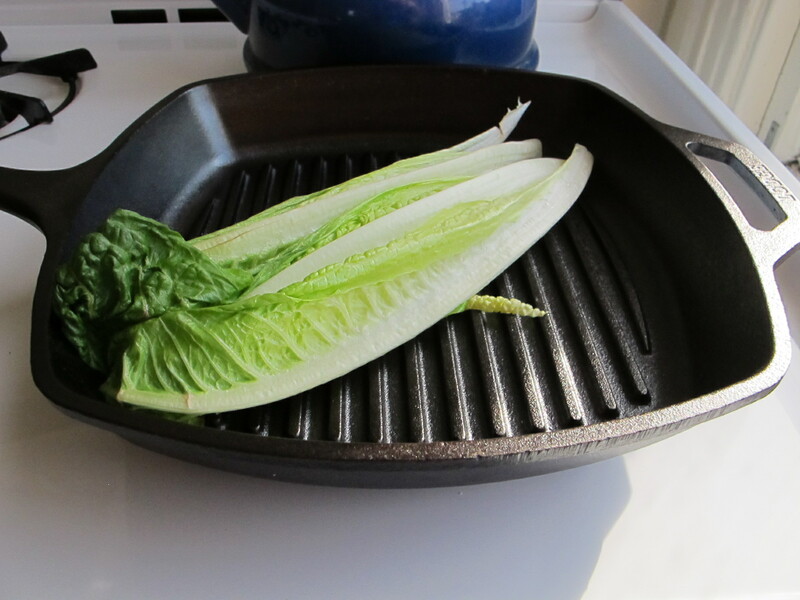 Cut romaine hearts in half lengthwise and grill, cut sides down, until grill marks just appear, about 2 minutes. 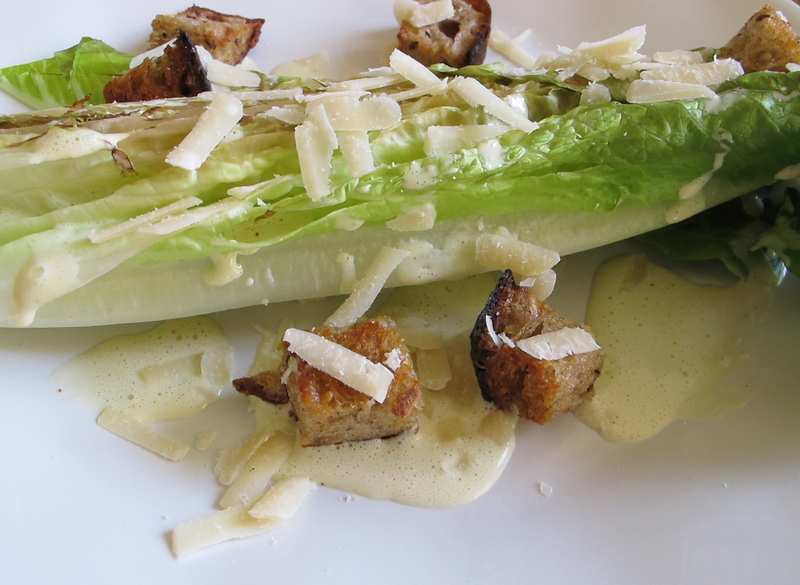 Place half romaine heart on a plate, drizzle with Caesar dressing, sprinkle with Parmesan and a generous handful of crunchetos. Heat oven to 425 degrees. 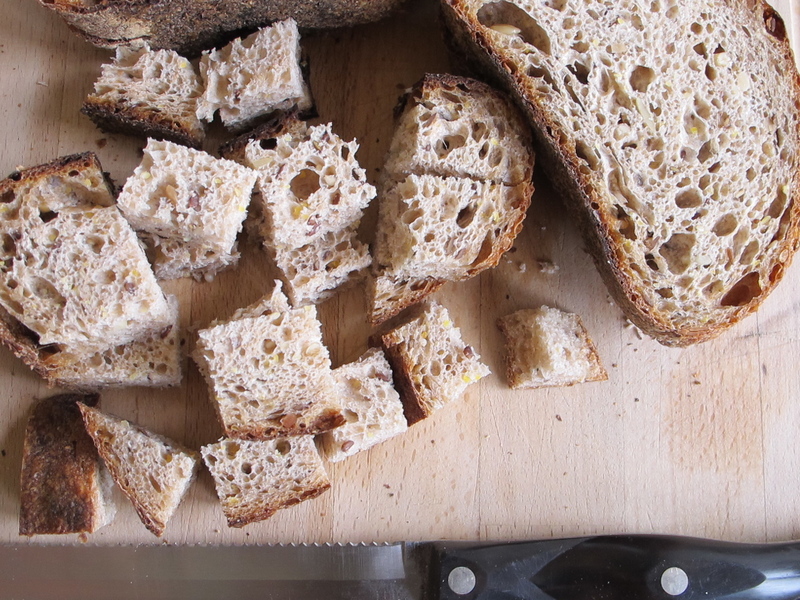 Add cubed bread to a large mixing bowl. Whisk together olive oil, sea salt, pepper, and minced garlic and pour over bread. Gently toss with hands. Add egg white and toss again, so the garlic sticks to the bread. Shower with cheese and toss one more time. 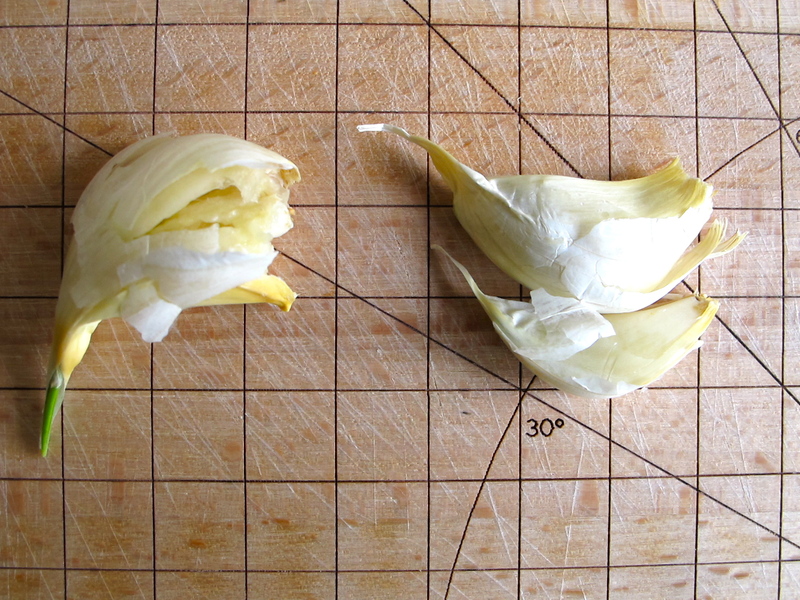 Spread on a baking sheet and bake for 15 – 20 minutes. Give it a stir a few times while baking so each cruncheto is evenly browned and glorious. Well this a truly proud moment indeed for Crunchetos, they have debuted on Happelsauce! The salad looks divine and a must try, next weeks re-creation in the Outer Sunset. Thank you for another wonderful post and salad-spiration! Caesar Salad Amazingness!! I love it. This looks like something I need to eat very soon…so simple and cruncheetos, totally brill! I look forward to reading more.